Have you ever thought about a career in broadcasting? Well if you have, you’ve also arrived at the right place to find out more information. This page is designed to help you answer some of the questions you did not know you had about careers in broadcasting! Or download our career information in pdf format! The great secret about broadcasting is that there is no secret. There are ultimately many different ways to be active in a broadcasting career and the road that one would take to get to that career is as varied as the frequencies on the dial. Ultimately, proper education, preparation and some forethought can go a long way to giving you the tools you need to break into the career of your dreams. This website, the Workforce Development Department of the Michigan Association of Broadcasters and the MAB Foundation seeks to help you find the route that is best fitted for you. The MAB is committed to assisting broadcast stations statewide in their recruitment efforts to actively seek out and hire qualified full and part-time employees. 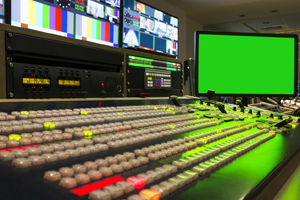 You will find a listing of links to Michigan Colleges and Universities that offer Broadcasting, Engineering and Communications programs that can start as a base for your broadcasting career. There is a comprehensive list of Broadcasting Organizations that are also interesting in promoting employment in the broadcasting industry. Check them out as well for more information on the industry. If you don’t know exactly what you would like to do in broadcasting, the MAB suggests that you see our comprehensive description of possible Careers in Broadcasting. This is a good place to start if you are not quite sure what you want to do. It’s also a good place to start if you are looking for educational programs to match your path to a dream career. Keep in mind that every company and station is different, so job descriptions and duties vary greatly. There is also a section on creating an effective Broadcasting Portfolio. Questions about demo tapes, tips on resumes and insider information from folks already in the business are found here. This section also provides information on how to gain experience in the broadcasting field as well as tips on how to land an entry level job. Once you review this sections, go to the MAB Job Bank and put your name, face and demo online. The Careers Section of the web-page is designed to help you get your resume and short demo tapes on-line so that MAB members stations that are looking for qualified staff will find you right away. Instant access equals instant opportunities. One of the best ways to learn information and make contacts is to network with broadcasters at various broadcasting functions. Visit the MAB Programs & Events section to learn more about upcoming conferences where you can attend and meet broadcasters from throughout Michigan. 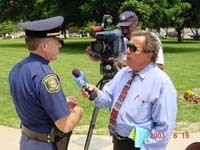 The Michigan Association of Broadcasters hopes that you will find this website informative and helpful. But if you have any questions or concerns in addition to this website, we ask that you contact us and an MAB staff member will due their best to help you. Thanks for stopping by and good luck!